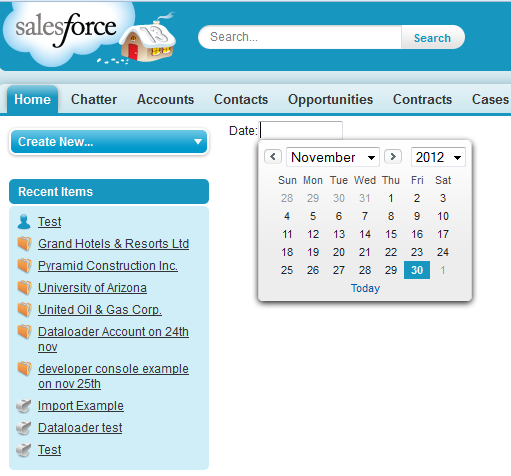 Date Picker is not working what exactly it as shown in the site. Date picker doesnt show calender. Selected date from the calendar is not placed on the field. It's not working in mozilla, working great in chrome. Works great in Chrome. Best answer on the web. Can you provide an example of 2 date fields; from and to. Then click on an image to display event activities for user signed on? in calender i want years to be started from 1980 .... what to do ? 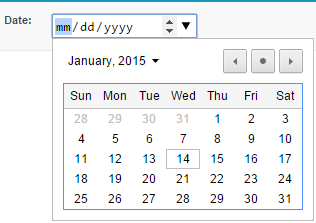 Then you have to try some HTML Date picker.